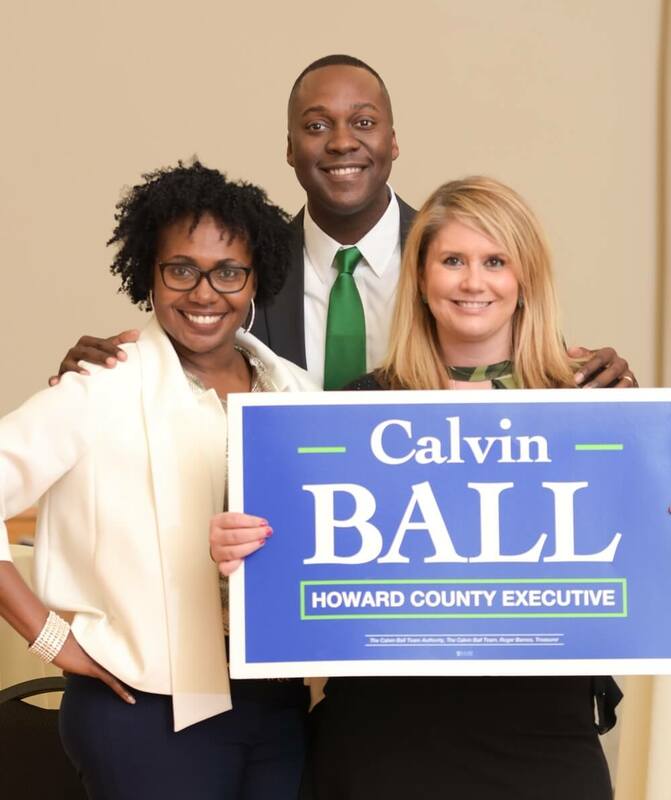 Calvin Ball currently serves as the District 2 Howard County Councilmember, which includes the Villages of Long Reach and Oakland Mills in Columbia and portions of Elkridge, Ellicott City and Jessup. In 2006, he made Howard County history when elected youngest Chairperson and is now serving his fourth term leading the County Council. He has also served as Chairperson of the Zoning Board and Chairperson of the Board of License Commissioners. On the council since 2006, he has been a champion for advancements in our education system, protecting our natural resources, improving public safety and advocating for an inclusive and transparent government. Calvin learned to appreciate the values of compassion and inclusion at a very young age. His father, Calvin Ball, Jr., is an Air Force veteran of the Vietnam War and former employee of the Bureau of Indian Affairs in Washington, DC. As a boy, Calvin often traveled with his father to support Native Americans on their reservations. Witnessing firsthand the tremendous challenges they faced, he understood inherently what good government policy could do to give people in need a sustainable path forward. Calvin’s mother, Carolyn, is a retiree from the Social Security Administration. She attended Catonsville Community College, giving Calvin a deep appreciation for how Community Colleges could be a resource for many who think college is out of reach. 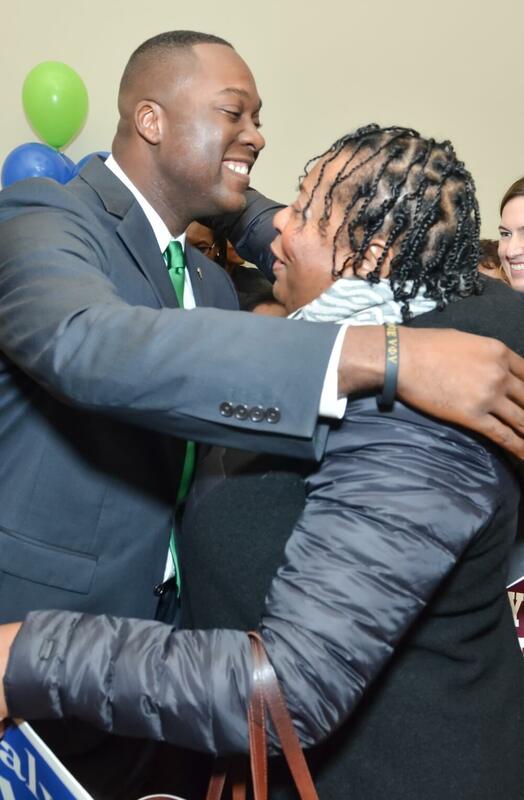 As a result, he sought out a Doctorate in education with a focus on community colleges, hoping to help others like his mother realize their full potential. Calvin, a Towson Tiger, holds a Bachelor of Arts in Philosophy and Religion from Towson State University, a Master of Arts in Legal and Ethical Studies from the University of Baltimore, where he was nominated for the Spirit of Excellence Award and is a Second-generation Morgan Man, having earned a Doctorate in Education from Morgan State University. In addition to serving on the County Council, Calvin is the Director of Complete College Baltimore, an innovative program on student completion at Baltimore City Community College. He’s also served as a supervisor in the State’s Attorney General’s Consumer Protection Division, is a Howard County Firefighter and Emergency Medical Technician and a former educator at institutions including Towson University and University of Maryland Baltimore County. He served as the first community organizer for Oakland Mills facilitating neighborhood revitalization. He continues to be a champion for our environment, previously serving as Chair of the Commission on Environmental Justice and Sustainable Communities as well as a Member of the Maryland Sustainable Growth Commission, chairing the Education Workgroup. In 1998, Calvin married Shani, and they moved to Columbia in 1999. They are the proud parents of Alexis and Alyssa, both current students of Howard County Public Schools. Since visiting the lakefront Fourth of July fireworks as a boy, Calvin was drawn to Columbia’s sense of inclusion and diversity. He and Shani knew Howard County was the best place to raise a family. It’s this desire to provide the same level of opportunity for others that motivates Calvin’s public service, from his activism on the Oakland Mills Village Board to his service on the County Council. Voices for Change – In recognition of his outstanding contribution to the Middle School Achievement Expo, 2017. Kappa Alpha Psi Fraternity Inc. Kappa League Columbia, MD – In recognition and gratitude for his outstanding contribution and valued participation as a Keynote Speaker at the 2015/2016 Kappa League Banquet, 2016. Executive Committee of Baltimore Marathi Mandal, MD – For his time and commitment to supporting the Indian Community in Howard County, MD, 2016. Howard County Gifted and Talented Education Program – In recognition of his outstanding contribution to Annual Middle School Achievement Expo, 2010, 2011, 2012, 2013 & 2104, 2016. LOKA-MD – In appreciation for his support for the LOKA-MD internship program. His “thoughtful generosity helped students discover their talents and expand the horizon for their future. We present you with this plaque with our heartfelt gratitude,” 2015. Men in the Kitchen, Howard County Center of African American Culture, Inc., 2007, 2010, 2011, 2012, 2013, 2015. Waterloo Elementary School PTA – For his generous support of our students and school community, 2014. American Cancer Society, Relay for Life – For Serving as Honorary Chair, 2013. Coppin State University Nonprofit Leadership Alliance – In appreciation for his contribution and support of the Coppin State University Nonprofit Leadership Alliance, 2013. Stevens Forest Elementary PTA – For sponsoring the SFES Turkey Trot, 2013. The John Hopkins University – For his support and participation in the Dobbin Road Project, 2010. Morgan State University – For his guest lecture to Communication Studies students during the 2008/2009 school year, 2009. Howard County NAACP Youth Council – For being a valuable contributor to the success of this Youth Council, 2009. Oakland Mills Community Association – Oakland Mills Revitalization, 2007. Leadership Howard County – In recognition of his valuable contribution in the planning of the 20th Anniversary Community Scholar Project, 2005. Howard County Public School System – In recognition of his generous contribution to the Student Performance Review Committee, 2002.